Fall is the best time of year to hop in the family vehicle with the spouse and kids and take a short road trip to visit interesting and beautiful places here in the Northeast. Ranging from historical to rustic, you are sure to find areas with stunning fall foliage. Of course, the views will be less than spectacular having to see them through a cracked or pitted windshield. 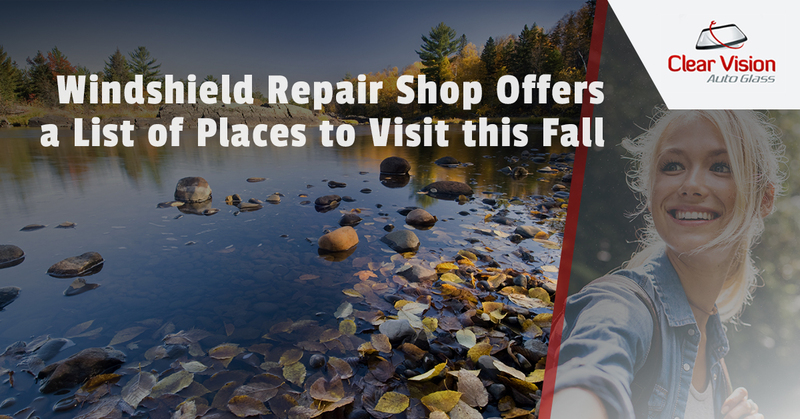 So before you head out to admire the fall views, call your New Jersey windshield repair shop and have that windshield replaced. And if you need a list of places to visit this fall, we can help with that as well. The St. Johnsbury region is home to many great fall activities including one of the best corn mazes in the states. The Great Vermont Corn Maze is a place where the family can spend hours exploring this mammoth agricultural construction. If you get lost or have kids that grow impatient, there are cheater poles you can use to help find your way out. There are also other attractions at the site including a barnyard nature center and a much smaller corn maze perfect for younger children. The Mount Washington Cog Railway is a mountain-climbing railway that takes people up to the top of the mountain and back again. It is such a novel idea and fun for the whole family. Take the railway and enjoy the beautiful fall foliage, until you hit the tree line of course. In the winter, you can enjoy the ski resort in the small mountain town of Bethel, ME. In the fall, the facilities open up for other activities including a zip line tour, golf and mountain biking. These are activities that are not only fun, but offer a great way to take in all of the fall colors. Mount Greylock is the highest point in Massachusetts and has views that span five states. Stop at the visitor center at the bottom of the mountain, get yourself a trail map and begin your upward trek. Make sure you pack a lunch and enjoy it among the colorful trees and scenic views. Columbus Day weekend is when the annual Pumpkinfest and Regatta is celebrated in Damariscotta. Go for the pumpkin boat races and pumpkin parade and stay for the crane that smashes pumpkins. There is plenty to see and do at this annual festival. Imagine you are sitting in a kayak silently paddling across the Delaware Inland Bays enjoying the fall foliage and the setting sun. Of course, this is after a day of hiking trails, wildlife watching and biking. You might get a little mud on your boots, but the fun activities are well worth it. Before you set off on your fall adventure, come on into Clear Vision to have your windshield inspected. With the wonderful views and breathtaking scenery, you will want to see everything as clearly as possible.